Welcome to part 7 in our journey through the Chakras! The 6th Chakra: Third Eye (Anja). It is located in the middle of the head between the eyebrows. Intuition and senses are a BIG part of this discussion along with which crystals and aromatherapies to use. Learn here the signs of blockages and how to clear. The Third Eye Chakra is also known as the brow chakra, symbolized by the lotus with 2 petals. Usually with the color white, indigo, or deep blue. The Third Eye Chakra key issues usually involve balancing the higher and lower selves such as separating illusion from reality. Trusting inner guidance and to access intuition. Emotionally, it deals with clarity on an intuitive level. 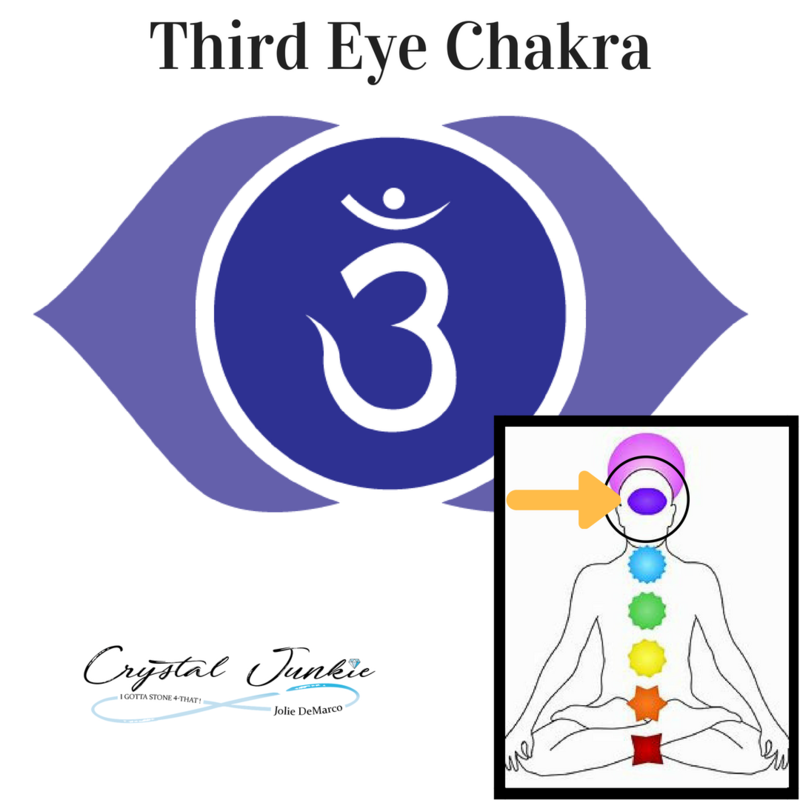 Our Third Eye Chakra has a lot to do with our intuition. If the Third Eye Chakra is balanced we have clear sight, a sixth sense knowledge. On the other hand if our Third Eye Chakra is blocked or not flowing correctly we may have more fear, confusion, headaches, depression or making wrong decisions. When opening your Third Eye Chakra you must meditate, clear your mind and have positive intensions. Positive intensions can keep the unwanted negativity away and prevent us from clouded judgments. We see how the senses work in animals, how they react before a storm or how intuition with squirrels and bears tell them to gather food all summer to prepare for winter. You’ve learned to trust your senses in what you can smell, taste, touch, hear, and see. Intuition plays a big role in our lives. Have you had that feeling that something just isn't right? Then you find out that feeling turned into reality? That's your intuition! That's your Third Eye! There are several crystals or stones that aid in healing the Third Eye Chakra one is the Lapis Lazuli one of the aromatherapies used for healing the Third Chakra is Jasmine. Guided meditation is a great way to clear or find your local metaphysical store for information on reiki circles in groups or individual sessions with a certified reiki specialist. Remember, everyone has energy, and that energy effects other people. Stay positive and surround yourself with positive energy. Thank you for following along on our Chakra journey. Be sure to read the next and final blog on the seven chakras. Coming soon: Everything you need to know about the seven chakras Part 8 - the Crown Chakra our 7th Chakra!